Finalists from the first phase of the POWER Idea Contest for Sustainable Communities will post their ideas in this section. Members of the Jerusalem POWER community can give them feedback and thus help them improve their ideas and win the contest. The first phase of the POWER Idea Contest for Sustainable Communities is over and the results have been evaluated. Now, the finalists from the first phase of the contest who originally posted their ideas to the Jerusalem POWER community page are requested to post an extended version of their ideas in the comment section here. 1. Create a video or an audio or an extended slide presentation that explains your project. 2. Post it in the comment section of this issue. You have time until May 31, 2019 to do so. The sooner you post it, the sooner you could start collecting feedback from the POWER community and the bigger your chance of becoming one of the 10 winners. See more about the concrete feedback evaluation mechanism in Section 4 of the contest's guidelines. 3. Spread the link to your comment post here in your network and ask for feedback (votes and comments). All members of the Jerusalem POWER community are encouraged to give feedback and vote for the ideas they like in the comment section below until May 31, 2019. Your feedback helps the finalists improve their ideas and win the contest. By mid June 2019, the POWER jury will select the 10 winners based on the quality of their projects and presentations and the feedback thay got from the community. The winners will be invited to the POWER conference in Brussels between October 9-10, 2019 where they will meet supporters who could help them with the further development and implementation of their idea (with know-how, contacts and/or funding). What is the problem that your idea is tackling? What is the solution you offer? How could your project help the city of Jerusalem with its goals within the POWER project? Upload your video/audio to a hosting platform such as YouTube, Vimeo, Soundcloud etc. Upload your presentation in the comment section below. The Jerusalem POWER platform supports most presentation formats such as PowerPoint, pdf etc. Alternatively, you could upload your presentation to a presentation hosting platform such as Prezi, Slideshow etc. and post the link accompanied with a short description in the comment section below. See all 20 finalists from the first phase in the four POWER cities here. The POWER Idea Contest for Sustainable Communities was launched in September 2018 to foster the development of innovative ideas that offer solutions to challenges that local communities face. During the first phase of the contest, more than 140 ideas were submitted to the platforms of the cities Leicester, Milton Keynes, Sabadell and Jerusalem. 16 April 2019 - 11:35 AM Installing smart water-meters and creating a digital map is indeed an important idea. However, from the presentation I don't understand what will happen after the map is created: who will be in charge of checking the map, seeing where there are problematic areas and acting upon? The city council? The local water utility company? The DIAGNOSIS project? Also, I don't understand how your approach is aiming at engaging citizens on a long-term basis - they will install the water meters to get the discount and then? How will you ensure that people are coming to the map and checking it regularly and what benefit will they have if they do so? For example, there could be competitions between neighborhoods about who uses water more conveniently. This way people will have the incentive to check the map on a regular basis. 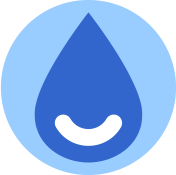 16 April 2019 - 11:17 AM I very much like the idea of smart water meters being rolled out in Jerusalem. Knowing your consumption is the first step to reducing it. Could you explain in a little more detail how your idea would further help discover wasting of water - and in which ways exactly the system you propose could stimulate people to save more? Could you provide also a few more insights into the energy project you mention? Could the two be linked (e.g. smart metering of water and energy)?